The wife of the leader of the separatist Indigenous People of Biafra, IPOB, Nnamdi Kanu, has insisted that her husband’s disappearance should be the major issue that will dictate discourse as the nation goes to the poll next year. 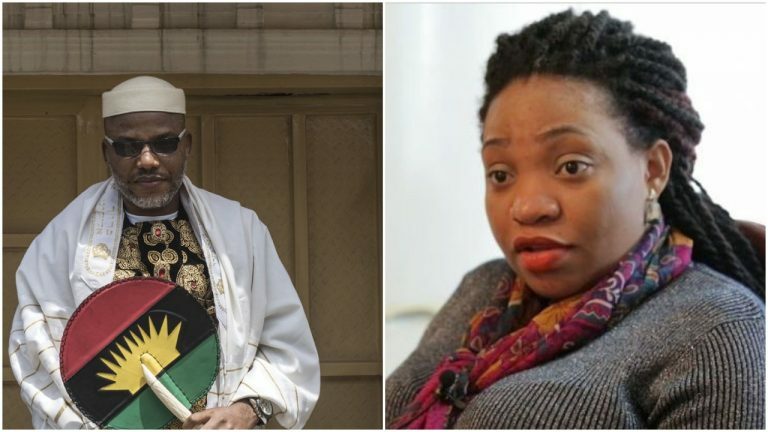 Uchechi Kanu, speaking in an interview published by BBC on Monday from UK, said the Nigerian government should account for her husband’s whereabouts, else, people will not vote. Mr. Kanu is wanted by the Nigerian government for alleged treason. He has not been seen in public since September 2017 when the army attacked his residence in Abia state. The army however denies knowing his whereabouts. Do they even know what I go through? I can’t even explain,” she said, adding that Mr. Kanu’s immediate family is homeless and suffering too.